Garett Bolles is an American football player who plays in the National Football League (NFL) for the Denver Broncos as an Offensive Tackle. He made the NFL draft in 2017 having had a great high school and college career. Before he made it as a football player, Bolles’ life was heading for the rock bottom, forcing his father to throw him out of the house. Somehow, he has come by to pick things up and build himself meaningfully. 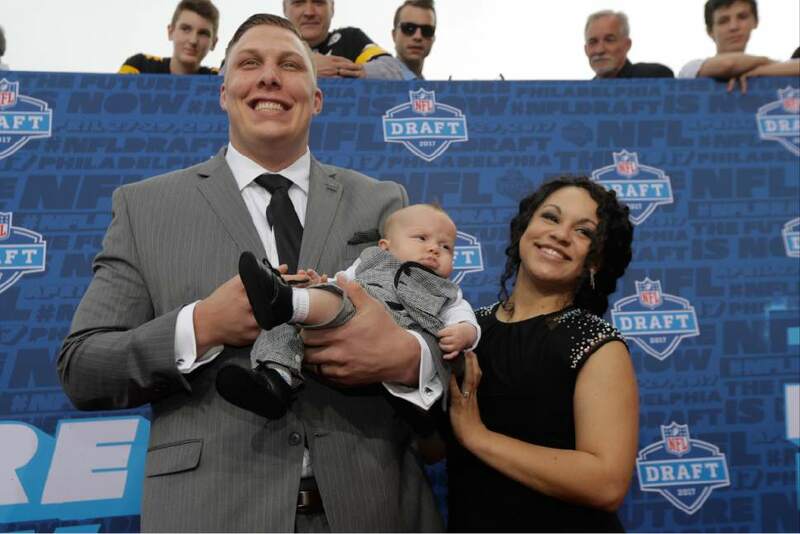 It was on May 27, 1992, that Garett Bolles was born in Walnut Creek, California. That was where he was raised until his family moved to Lehi, Utah. For his education, the Broncos man went to Westlake High School where he played football, something he has played since he was only a child. Two months after his graduation from high school, the then 19-year old found himself homeless after his father threw him out because of the troubles he was always bringing. Described as a wayward kid, he was into a lot of things including vandalism and alcoholism that the police knew him by his first name. Before too long, things got out of control for his father who at the time was separated from Garett’s mom and had his younger ones to look after, so he threw him out of the house with his belongings in a plastic garbage bag. Luckily for him, Greg Freeman who coached him when he was in seventh grade saw him and called his wife Emily Freeman to request if he could bring the kid home. With 4 of their own, the couple agreed to have him over. All that was in 2011 and it began the change for him. He attempted LDS mission but was dropped only after 10 months. Next, he went to Snow College where he played for a couple of years within which he won the WSFL championship and Salt City Bowl. He then moved to the University of Utah where he again proved himself and was even named to the All-Pac-12 Conference First-Team in the only season he spent with the college before entering the 2017 NFL Draft. 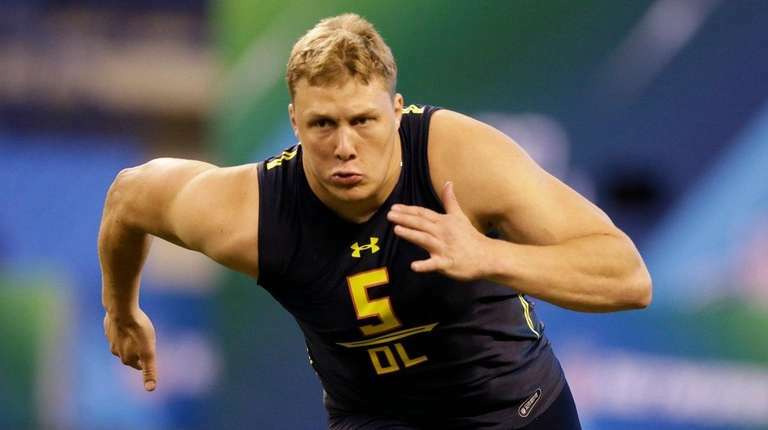 Considered the best offensive tackle in the draft, Garett Bolles was selected by the Denver Broncos as the 20th overall pick. In his first season, he made the PFWA All-Rookie Team. After he was drafted, he was given a deal that was worth over 11 million dollars for four years. More so, the contract came with a guarantee of $8.59 million and also a signing bonus of $6.16 million. Before he came, it only happened four times in history since 1968 that a rookie was started in every game after he started in all 16 games at left tackle. Apart from his first family, Garett Bolles also refers to the family of Freeman as his family for taking him in and helping him become who he is. His biological father was a Navy veteran. If you are wondering, the Broncos man does not have a girlfriend as he is married to Natalie Bolles, whom he has described many times as his greatest blessing. Without much details on how they met, it is known that they have been together for some years before they finally tied the knot in December 2015. His union has been blessed with a son, Kingston Bolles. In 2018, he announced on his Twitter that he and his wife are expecting their second child together, a daughter who will be born in March 2019. Apart from his Christian faith which he holds very close and tags as one of the things that have helped him to find his way back, the giant NFL star sees his family as the most important thing in his life, and he always takes to social media to share their pictures. Garett Bolles is a man who has a massive height and a massive build. The offensive tackle stands at a massive height of 6 feet 5 inches (1.95 meters) and he has a weight of 297 lb (134.7 kg). For his general body stats, his arm length measures 34 inches while his hands measure 9.3/8 inches. Other aspects of his body measurements are not known, but as stated, he is well built to dominate any pitch.